THE SKINNY: I love the smell of shea butter. Something about that rich aroma gets me every time. Jergens new Shea Butter collection is a great (and super affordable) line that captures that aroma. My small packet was easy to use and the formula was creamy and thick. It did not leave any type of greasy residue behind and I caught a light whiff or two of the shea butter smell throughout the day. Sadly (and like many other products at this price point), it does take quite a bit of lotion to really coat skin. 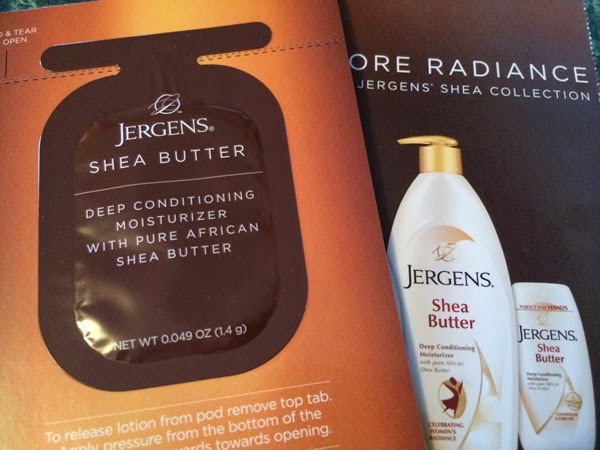 CHECK IT OUT: Learn more about Jergens online and look for this new product as grocery and drug stores.